A screenshot from the TV show "Sherlock." The ВВС and Russia's Channel One are investigating how the "Sherlock" season finale was leaked online a day before the official broadcasts in the UK and Russia, Jan. 15, prompting a wave of reaction on social media. Margarita Gerasyukova at Gazeta.ru explains how viewers can protect themselves from spoilers on the Internet. Twenty-four hours before the official premiere of the season four finale of Sherlock, Jan. 15, the episode, dubbed into Russian for release on Channel One, appeared online. Writing on Twitter, the series' writers appealed to users not to share the episode and to try to avoid spoilers. Nevertheless, many people rushed to watch the leaked version online, some because it was a season finale and others, because they were afraid of reading spoilers online. Russia’s most popular social network, VKontakte, was quick to react: It set up a filter for those who wanted to avoid spoilers before the official premiere of the last episode of the popular series. 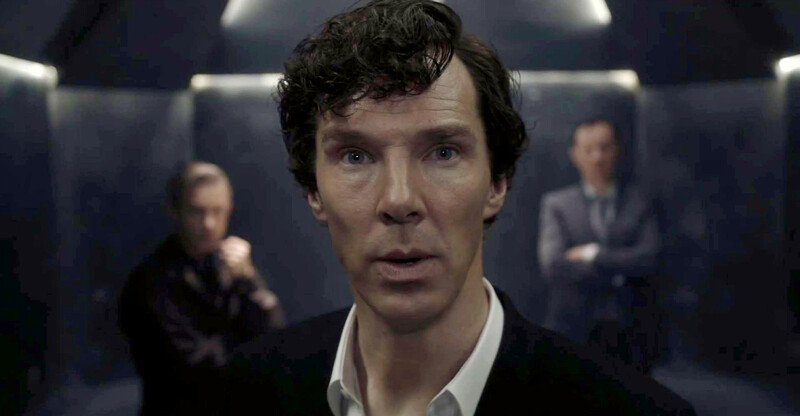 Every post with the word Sherlock in it was preceded by a warning that read: “Spoiler alert: Sherlock”. Thus, users could choose whether to read the post or skip it. The head of VKontakte's press service, Yevgeny Krasnikov, told Gazeta.ru that the Sherlock leak was a tipping point that prompted the introduction of the warning aimed to protect users’ interests. “We are measuring its use and effectiveness. On the basis of this experiment, we shall decide whether to extend this practice to other landmark TV series, films, books, etc.,” he said. It was only to be expected that the high-profile leak of such a popular TV series would provoke such a serious reaction. A BBC spokesman said that the corporation was paying close attention to all breaches and had already started a full investigation into the incident, stressing that the leak was “more than just an accident”. Channel One's press service said that the moment the leak was reported it had been in close contact with the BBC and was conducting an investigation to determine the source of the breach. Preliminary findings suggest that it was a hacking attack. Channel One says it will share its findings. Sherlock fans internationally took to social media sites to share their theories about what may have been behind the incident. Many accused “Russian hackers”, who have recently prominently featured in the Western press as the cause of all scandals provoked by leaked information. User @MyDearHolmes tweeted: “List of the most important things Russia have hacked: 1. Sherlock ep..” While user @bencofhiddles joked that World War III started “on January 14th, when Russia leaked 'The Final Problem' one day before airing”. Spoilers have become a feature of modern life with the boom in TV series, as people try to avoid any details in the plot, ignore any leaks, photos from the film set or even trailers before official premieres. This panic fear of spoilers can easily be used against fans of popular shows for malicious purposes. In May 2016, Internet users were caught in a heated debate following publication of a news story about a young woman who caught her boyfriend cheating and took revenge on him by sending him Game of Thrones spoilers every Monday before he could watch the new episode. It is noteworthy that Internet users sided with the woman, who in their opinion, was in the right and were impressed by her unconventional methods of revenge. Russian Internet sites are also no strangers to the concept of ‘spoiler revenge’: The lead singer with reggae band Jah Division, Gerbert Morales, compiled a list of killers featured in books by popular Russian detective fiction writer Darya Dontsova and published it on his Facebook page in protest against the authorities blocking access to the Rutracker website.